No visit to Colorado is complete without seeing the majestic beauty of the mountains and beyond. At Aspen Snowmass Express, we take pride in offering a charter to all Colorado ski Resorts and local viewing sites. Our personal touch that turns ordinary trips into extraordinary memories. 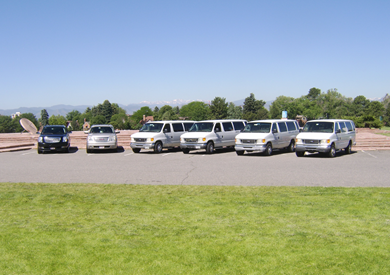 We don't just drive you to your destination; our drivers serve as your guides along the way with any of our shuttle services in Denver, CO. While you take care of business in Denver, call us for a scenic tour of Red Rock, the Buffalo Bill Museum & Grave, Idaho Springs, or Georgetown; to name a few of our scenic tours. You don't need to be stuck at an airport! Give us a call at (304) 342-3424 during your layover and let us take you on a picturesque voyage throughout the Colorado Rockies. It's a beautiful drive that you won't soon forget. Have a long layover? You can enjoy a sightseeing tour of any local historical Colorado destination. We will always get you back in time to catch your flight. Leave the driving to our professionals while you relax.